Music posters - 2Pac posters: Full colour 2pac poster featuring the legendary rapper in New York in 1996. 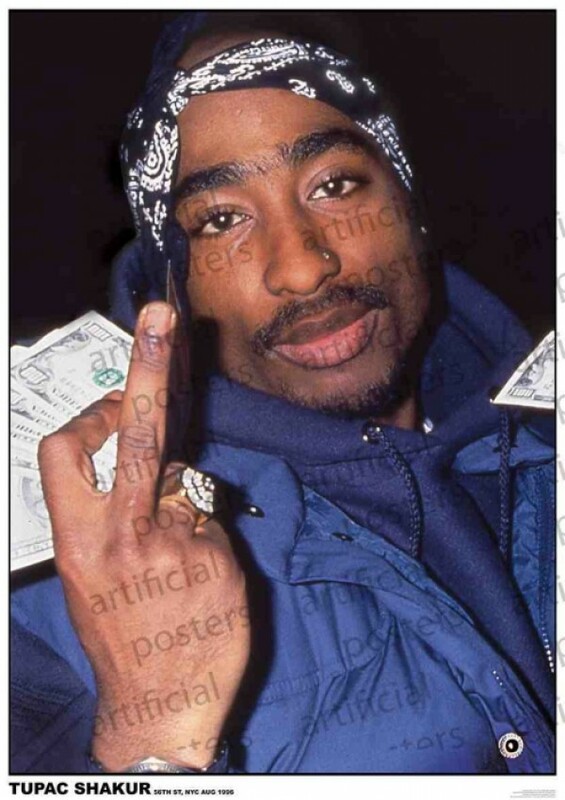 In this poster Tupac is flashing the cash amd giving the finger. Tupac Shakur was murdered in September 1996. 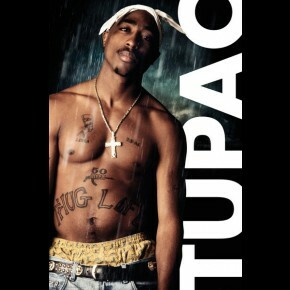 THE WATERMARK ON THE IMAGE ON THIS PAGE IS NOT ON THE ACTUAL POSTER Unofficial 2Pac poster.